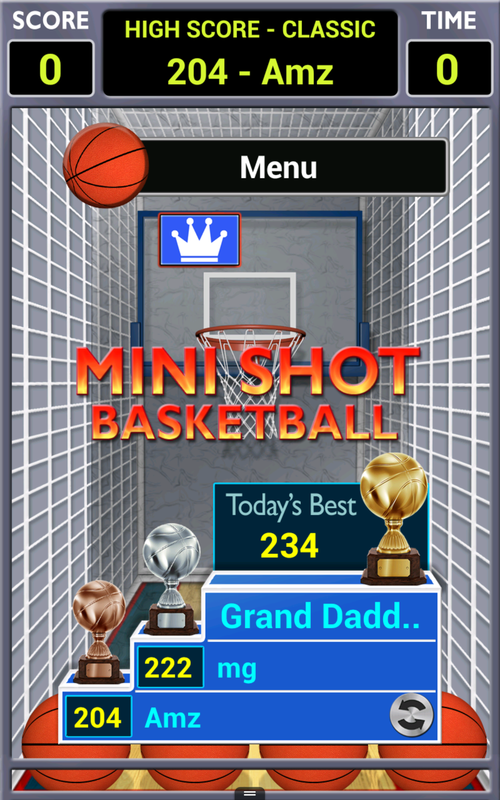 Mini Shot Basketball comes to your Android device so you can shoot hoops even when you’re not near a basketball court. This game is the pocket version of the classic arcade hoops basketball game. Announcers commentate on the action and sound effects get you pumped up to sink shots. There are four different game modes to play including a practice mode where you can improve your game. Submit your high scores online and compete for Daily Best Classic trophies. 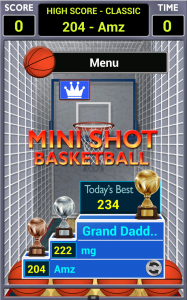 Bring the game of arcade basketball to your Android device. Compete for Daily Best Classic Trophies. Google Play Games & Amazon Leader-boards.